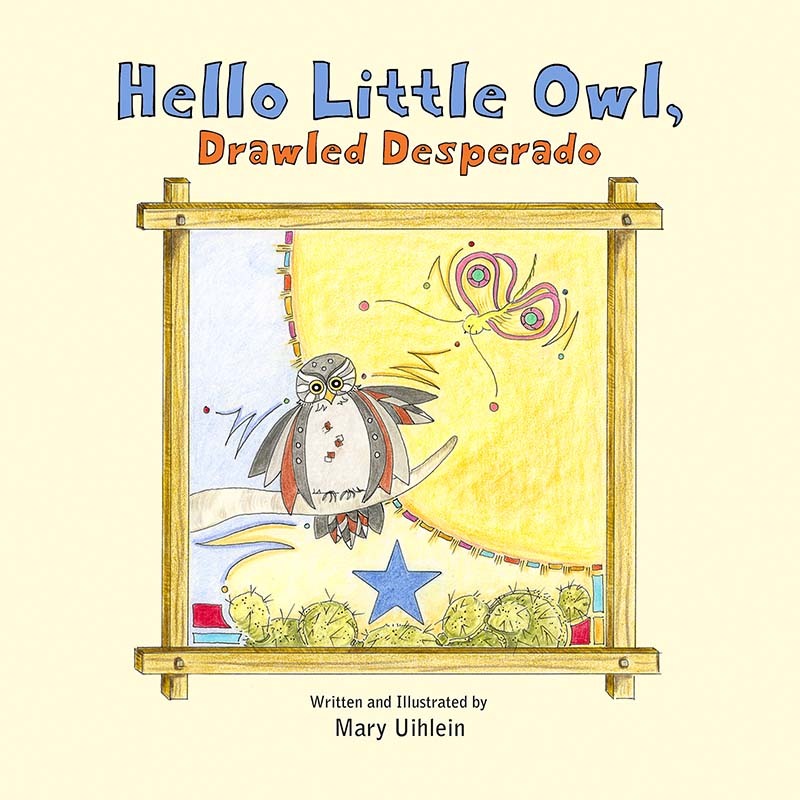 In the fifth book in the Hello Little Owl series, Little Owl takes a trip with her family and friends to the great state of TEXAS! In this friendly, dusty home to armadillos, diamondback rattlers, The Alamo, longhorn steers and rodeos, she meets a charming new friend who calls himself “Desperado” and has an adventure she’ll always remember at the Sunny C Dude Ranch!! Hello Little Owl, Drawled Desperado is an adventure in new experiences and a bit of “Humble Pie”! Little Owl’s butterfly friends spend the winter in Texas, where it is warm for their delicate wings and there is food for them to eat! They want her to come along to see where they will be for the cold months. After begging Daddy Owl, he finally concedes and they go on a family trip. This book teaches children about exploring new places and trying new things. But mostly it emphasizes the fact that we don’t always know as much as we think we know!! The book is available in an illustrated hardcover with matching dust jacket, and an Amazon Kindle version. The audiobook will be in production in October, so stay tuned for the release of that very soon!